When you think about the word healthy. what comes up for you? Do you believe it is attainable for you? 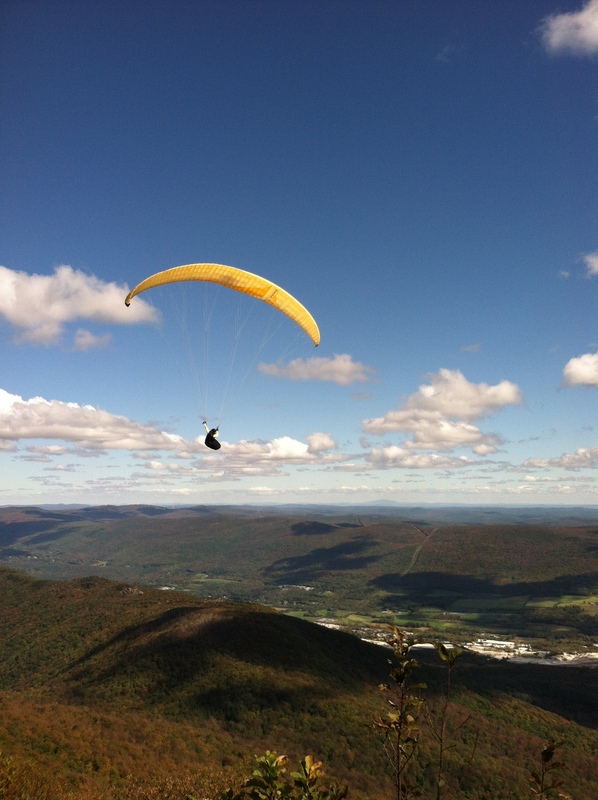 If you could change anything about the way you live, work, play and eat what would it be? Is this in the cards for you? Simple questions that may not be so simple to articulate but they are certainly worth exploring particularly with the holidays quickly approaching. The addition of the expectations that go along with the holidays can sometimes upset the very careful balance we create to be more fully present in our lives. Some of us become overwhelmed by the prospect of adding holiday planning into our already hectic lives. I hope to offer a few strategies and at least one easy recipe to reduce stress and allow you to enjoy your holidays however you choose to spend them. First, remember what it is you love so much about the holidays. Focus on that and make it the priority of what you plan. Next, make a task list of what needs to be accomplished and set up a time to share with others so you don’t feel alone in making things happen. If you share the tasks not only do you feel less pressure but those you love feel needed as you are all in it together….it can be really fun! And finally, keep it simple. Some of the finest memories come from the most delightfully simple things. The recipe I offer up today is just that sort of dish…simple but truly memorable. 2) Toss the Brussels sprouts with 1 Tbsp. olive oil season with salt and pepper if desired and appropriate. Roast Brussels sprouts for 10 minutes turning once, or until browned set aside and reduce heat to 400. 3) Puree beans with remaining olive oil in a food processor until smooth. 4) Roll puff pastry into 12inch square and press into pie plate allowing edges to hang over the pie plate ½ inch or so. Prick bottom with fork and bake for 15 minutes until golden brown. 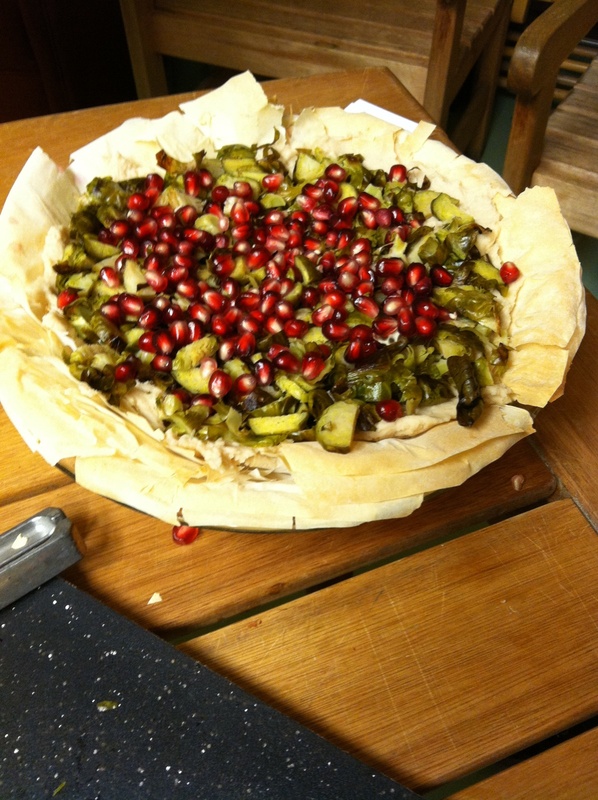 5) Spread the bean mixture onto hot crust, top with beans Brussels sprouts and sprinkle pomegranate seeds over top. And only about 300 calories per serving for those of us counting calories. I recommend using organic bulk, whole grains and beans whenever possible as it is healthier and in fact more cost effective to do so. If you chose to prepare dried cannellini beans first rinse them and then soak overnight of for at least 6 hours. This removes the enzyme inhibitors that are on all dried unprocessed whole grains, beans, nuts and seeds which can upset our digestion. Soaking beans helps break down the oligosaccharides, the indigestible sugars that cause gas in beans, as well as removing tannins, phytic acid and tryspin inhibitors. Add about a 1 inch piece of Kombu to the beans (you will need to rehydrate the Kombu soaking it for about 5 minutes before you add it to the pot) as well to further help in making them easier to digest and to add in minerals from this sea vegetable. First place the rehydrated Kombu in the pot along with the soaking water, place soaked beans on top and cover with about 1 inch of water. They will cook from between 50 to 90 minutes depending on the bean and the texture you are seeking. Skim off the foam that gathers on top of the beans when they first start to cook as that contains the tannins and phytic acid that create digestive issues. see photo of Kombu below: I recommend buying Maine Coast or Atlantic Sea Vegetables. You can find kombu in Asian markets, at Whole Foods and in many health food markets. Boo-Ya Black Bean Burgers! They are simply delightful with a bit of secret sauce on top oh my. So simple to make here is my recipe but you can make adjustments to taste. Cook beans with 2inch piece of soaked kombu in just enough water to cover for approximately 45 minutes or until soft. Check the beans as they cook and add water if needed to prevent sticking on bottom of pot. Chop carrots, celery and onions and sauté in 1 tblsp. olive oil until soft. Mash cooked beans with potato masher until about half the beans are mashed. I like to leave some beans for texture and appearance. Add the millet, vegetables and mix well. Sprinkle the pastry flour over mixture and blend in thoroughly. Form bean paste into patties and cook on medium heat in enough olive oil to prevent sticking. Turn burgers after approximately 5 minutes (or when brown but not burned). I use my spatula to continuously shape the bean paste into patties. The millet and flour are nice binding agents and add flavor. Keep patties warm in oven until all are cooked. Top with pumpkin seed sauce or tofu cream…yummy!